Virtual reality has been a part of popular culture for decades, but for many years it served more as a sci-fi narrative device than as a viable technology for consumers. That has changed dramatically in recent years, as advances in technology have finally allowed the geniuses creating virtual reality platforms to bring their visions to life like never before. The era of virtual reality is here. That’s why we’re so excited to announce a new partnership between Microsoft and virtual reality pioneer Oculus VR. Earlier today, at an Oculus event in San Francisco, Head of Xbox Phil Spencer joined Oculus CEO Brendan Iribe on stage to share some details on what fans can expect to see when the Oculus Rift launches in Q1 2016. The Xbox One controller will be included with every Oculus Rift. The Xbox One controller is designed for gamers, by gamers, for interchangeable gaming between Xbox One and Windows 10 PCs and tablets, with fine-tuned impulse triggers for greater precision and control and a D-pad engineered to deliver greater responsiveness. If you’re going to be playing your Rift games with a controller, this is the one you want in your hands. And, with the new Xbox Wireless Adapter for Windows that we unveiled last week included, you can play games on the Rift using the Xbox One controller wirelessly right out of the box. Xbox One games will be playable on Oculus Rift. We shared earlier this year that you’ll be able to stream your Xbox One games to your Windows 10 PC or tablet. Now, we’re happy to announce that we’re bringing the same Xbox One streaming capability to the Rift, a feature that’s only possible through Windows 10. You can play your favorite Xbox One games, like Halo, Forza, Sunset Overdrive and more, on your own virtual reality cinema screen. It’s just like playing in a private theater, and you can even play with your friends through Xbox Live. Windows 10 is the best platform for playing games on the Oculus Rift. The Rift will work natively with Windows 10 to make it easy to set up, jump in, and have an incredible VR gaming experience. Combined with DirectX 12 technology that unlocks the full capabilities of new Windows 10 graphics hardware, made-for-VR games on Windows 10 will have the fastest frame rates and top performance. Above all, we want to give gaming fans choices. Windows 10 is an open ecosystem that includes boundless opportunities for alternate realities, which is why we see the virtual reality of Oculus Rift as a perfect complement to the mixed reality offered by Microsoft HoloLens. 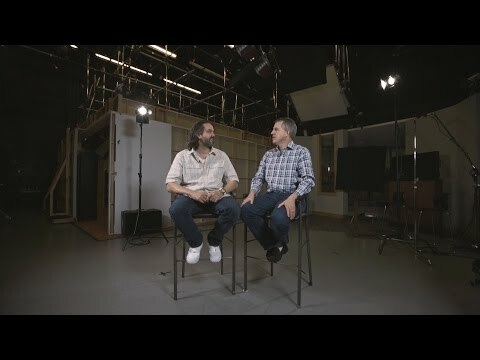 For more on mixed reality, virtual reality, Windows 10 gaming and more, be sure to watch Major Nelson’s interview with CVP of Next Gen Experiences Kudo Tsunoda below. We’re really excited about today’s announcement and what it means for fans of both Xbox and Oculus. You’ll be hearing more about this great news in the future, so stay tuned to Xbox Wire.